How to Convert/Rip Blu-ray on macOS Sierra 10.12? macOS Sierra 10.12, the next-generation Mac operating system, was unveiled at the Worldwide Developers Conference on June 13, 2016 and launched to the public on September 20, 2016. Apple chose to do away with the OS X name in favor of the new “macOS” name to bring the Mac operating system in line with iOS, watchOS, and TVOS. If you’ve updated your Mac system to the latest macOS Sierra 10.12, you could enjoy so many great features it brings you. While, if you want to watch Blu-ray movies on macOS Sierra 10.12, you will get stuck as the new Mac system can’t support Blu-ray playback. To get rid of the issue, you have to rip Blu-ray in macOS Sierra 10.12 to a Mac compatible format first. So, is there a tool that keeps pace with Mac’s latest macOS Sierra 10.12 and can rip and convert Blu-ray movies with ease? Luckily, you can find the easy solution from this article. 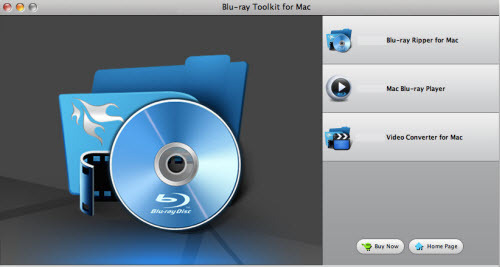 To convert Blu-ray in macOS Sierra 10.12 easily, here we highly recommend UFUSoft Blu ray Toolkit for Mac as the best Blu-ray Ripper for macOS Sierra 10.12, which is the one that will fulfill your needs. It meets up macOS Sierra 10.12 system requirement on any level with powerful Blu-ray disc ripping ability. It combines Blu-ray Ripper for Mac, Blu ray Player for Mac, Video Converter for Mac into one, which can help you rip/convert any Blu-ray disc, Blu ray folder, Blu ray ISO to MP4, AVI, M4V, MKV, FLV, MOV, MPG, etc videos with excellent and unmatchable ripping-converting speed while preserving HD quality. And with the disc copy feature, you not only can copy the full BD disc, but also can copy the main movies without any extras on macOS Sierra 10.12 as you want. P.S. For those who want to convert and rip Blu-ray files on Windows PC, you can turn to Blu-ray Ripper. Insert the Blu-ray disc to the external Blu-ray drive as the source file. Launch the top Blu-ray Ripper for macOS Sierra 10.12; click the disc button to load the entire Blu-ray disc for ripping. Blu-ray movie folder and ISO image files are supported as well. Click the Format bar and follow Common Video; MP4, MOV, AVI, MPEG, M4V… are all the popular output formats for you. This macOS Sierra 10.12 Blu-ray Riper also has 150+ presets for almost all popular multimedia devices. You are allowed to choose one device as the output format as well. Click on the Convert button on the lower part of the screen to start conversion. Once you got everything all set up, initiate the conversion and let the top Blu-ray Ripper for macOS Sierra 10.12 do what it can. After the conversion, click Open button to locate the output vidoes. If it’s there, then you can begin to enjoy the video in any way you like. How to Play Blu-ray Movies on HP ZBook Studio G4 Laptop?